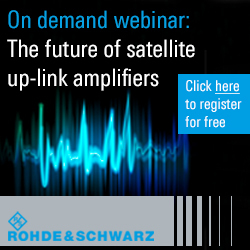 [SatNews] Asia Broadcast Satellite (ABS) and Hummerlton Security Services (HSS) have signed a multi-transponder agreement on ABS-2 and ABS-3 satellites. The capacity agreement will provide additional connectivity for HSS to expand its business network and infrastructure for its growing business in Africa. Under the multi-year agreement, HSS will use the high powered C- and Ku-band capacity of ABS-2 and ABS-3 to provide data services to its customers across Africa. It will be used to support HSS’s payment gateway services and to extend data connectivity and enterprise applications to ICT and Banking Industry predominantly in Africa region. HSS was established in June 2012 to accommodate and run the Africa Innovation HUB Project. The project was born in 2009 as a culmination of many years of research and development for the provision of a convenient secure and affordable multi-transactional platform that uses the convergence of banking and telecommunications technologies to grant ICT & Financial Products and Services access to wider populations in Africa. The ABS- 2 satellite scheduled to be launched soon, will bring new high powered C and Ku capacity over Africa: a total of 54 transponder units, each equivalent to 36MHz, which is a 3 times capacity increase for ABS for Africa. 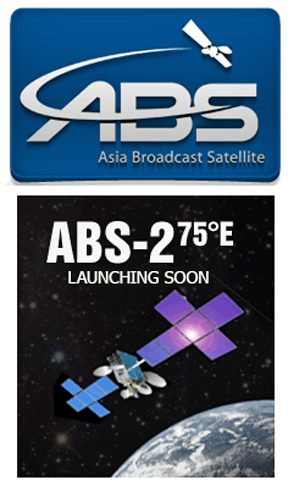 ABS-2 will be located in geostationary orbit at the prime location at 75 degreesEast. ABS-3 satellite at 3 degrees West offers powerful beams for various applications at low cost, comparable to undersea fiber prices in Africa.